The Registrar’s Office works with the Office of the President and many other Beacon College departments to coordinate the commencement and convocation ceremonies. 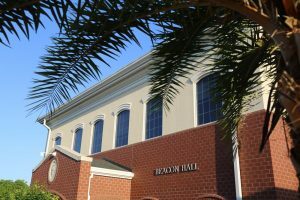 The Registrar’s Office is located on the second floor of Beacon Hall. Regular Office Hours: 7:30am – 4:30pm Monday-Friday.